The implementation of U.S. tariffs on Chinese goods last summer spurred Beijing to abandon U.S. farmers for South American growers, cultivating links with Argentina and Brazil. 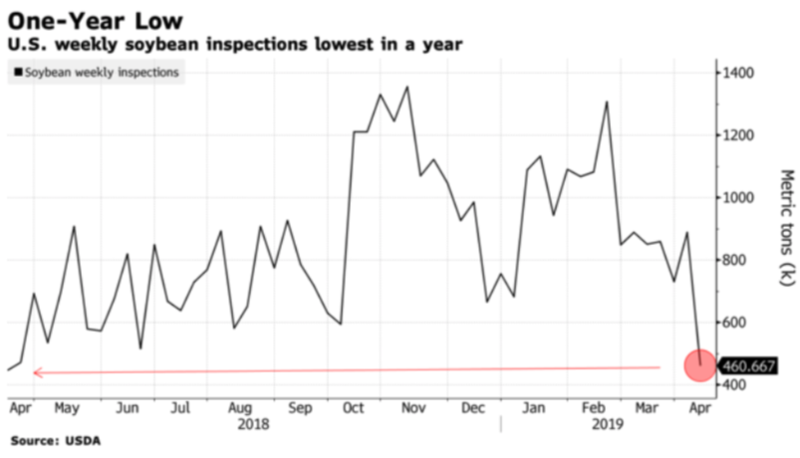 American farmers are expected to plant less soybean this year, down 5% to 84.6 million acres according to the USDA, and Chinese feed demand is likely to collapse amid the outbreak of African Swine Fever across several provinces. This means that "even if an agreement was reached between China and the USA, a return to the quantities of soybeans traded before the outbreak of the dispute would be highly unlikely," said Germany’s Commerzbank. The continuing trade dispute has caused bilateral trade between both countries to almost collapse. Total U.S. exports of soybeans globally fell 28% y/y in March compared with the same 12-month period in 2017-2018, at 30 million mt, down from 41.6 million mt. American growers are troubled by indications that the administration would accept Chinese purchase target pledges for soybean without a commitment to lift retaliatory tariffs, said industry representatives, some of whom spoke only on condition of anonymity to Bloomberg. "This is of great concern to producers out here facing another year of tariffs," said Mark Powers, president of the Northwest Horticultural Council, which represents cherry, pear and apple growers in the Pacific Northwest. "We’re disappointed. Clearly the priority lies elsewhere." 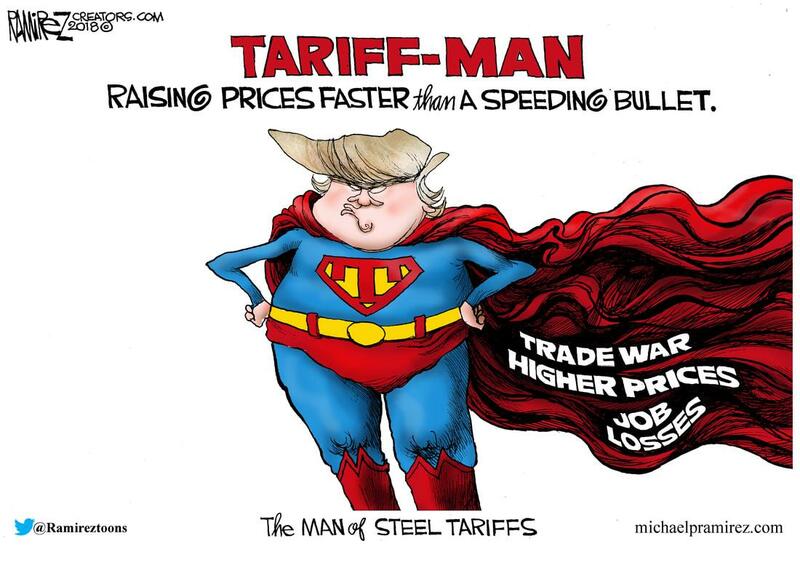 Farmers are disturbed by Trump’s interest in tariffs that are destroying free markets while his administration gets to pick industry winners and losers. This is more of a command and control market - some farmers suggested. 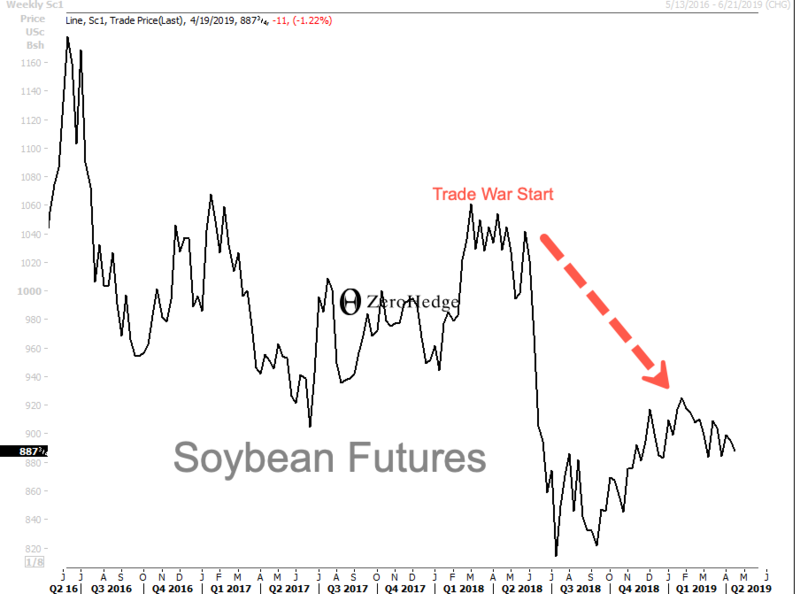 Despite being close to a deal for five months, soybean exports continue to plunge as farmers lose confidence in the administration to "Make American Great Again." What's next? Well, farm bankruptcy filings have exploded across 19 states, particularly in the upper Midwest -- some of these farmers are sitting on record stockpiles of soybeans - as demand for the beans disappears.